Other Products by Gaspari Nutrition. Search other Pre-Workouts products. If you've never used Gaspari Nutrition SuperPump 250 you've never trained to your full potential! That's right, never hit those performance highs, and never had your muscle growth potential maximised! So why are we telling you about what you've missed out on? BECAUSE SUPERPUMP 250 IS BACK! Not only back on the shelves, but back on top of the pre-workout mantle. Gaspari Nutriton SuperPump 250 has been resurrected after years of research and clinical trials to be even better than before. SuperPump 250 catalyses muscle growth by creating the perfect environment for lean muscle growth potential. The lean muscle catalysing effect of SuperPump 250 improves your lean muscle to fat ratio promoting a hard lean physique. 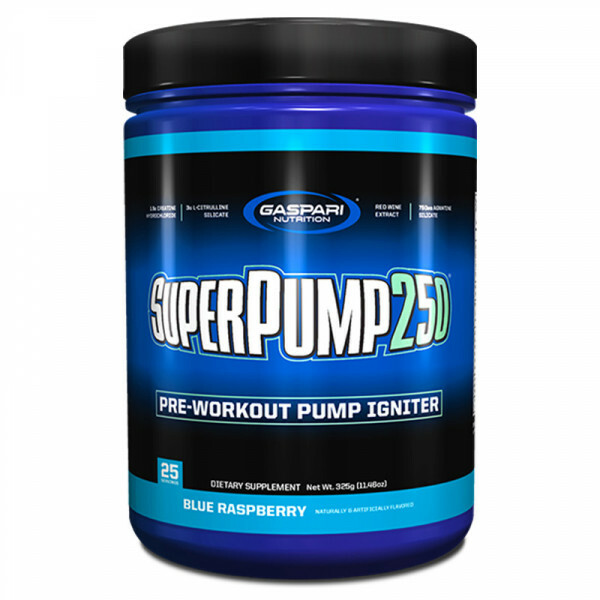 Gaspari SuperPump 250 is the only pre-workout supplement that you will ever want or need to use. Delivering big on pumps and performance as the name suggests, you will love the feeling as the muscles engorge. 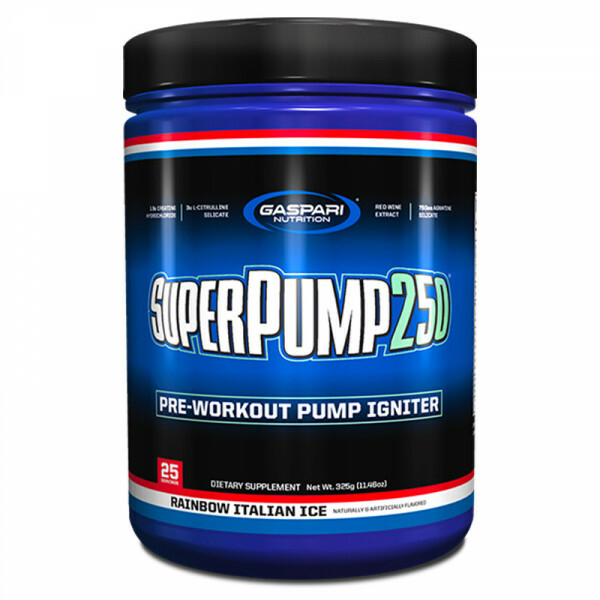 With super strength gains and explosive energy you will know what all the hype was about...but now you can experience it for yourself with the return of Gaspari Nutrition SuperPump 250.
Who will benefit from SuperPump 250? You! SuperPump 250 is great for anyone wishing to improve their lean muscle to fat ratio, increase strength and improve overall peformance including, but no limited to: bodybuilders, weight trainers, fitness models, gym goers, team sports competitors such as hockey, soccer, rugby league, AFL. Mix 1 scoop of SuperPump 250 with 120 - 240ml of cold water and drink 30 - 35 minutes before beginning any physical activity. Due to extreme potency of the product assess your tolerance by first trying half a serving (½ scoop) mixed with 60 - 120ml of cold water. Do not exceed more than 1 full scoop in a 24 hour period. Other Ingredients:- Natural & Artificial Flavour, Citric Acid, Malic Acid, Calcium Silicate, Silicon Dioxide, Sucralose, Acesulfame Potassium, Alum Lake Red #40.